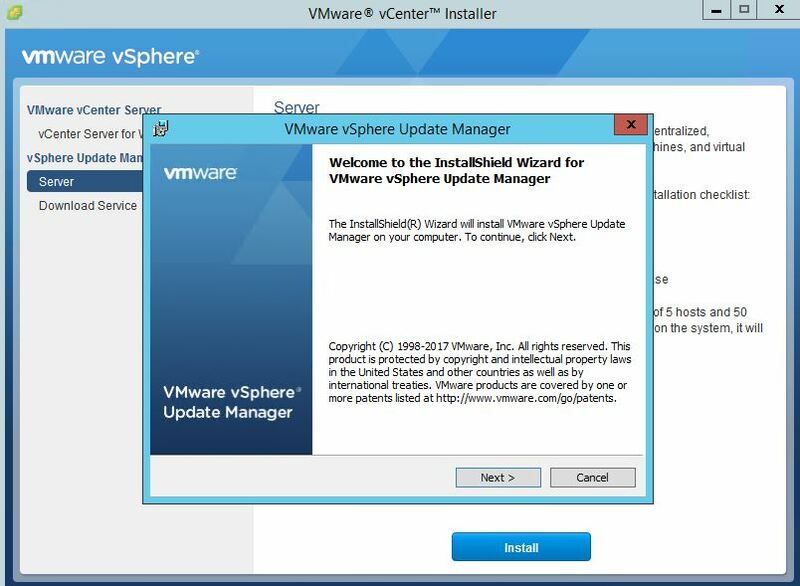 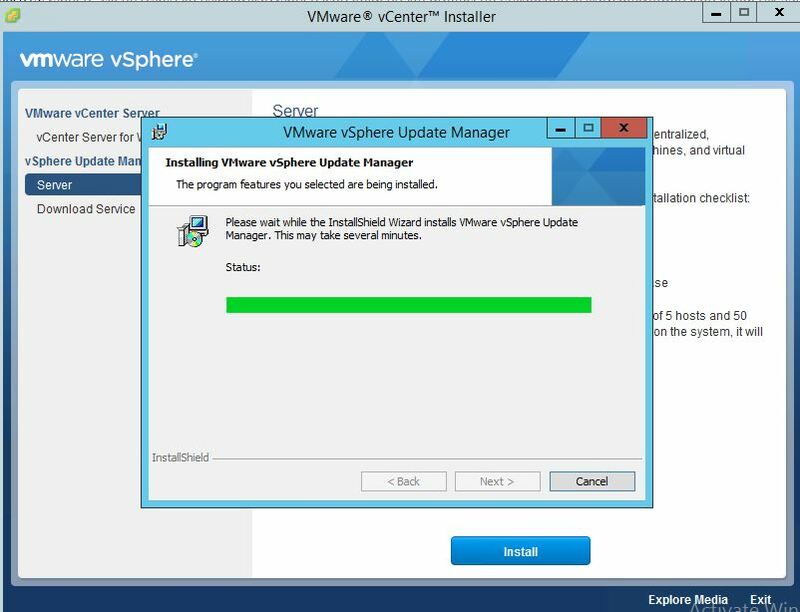 You can use the different Update Manager deployment models in different cases, depending on the size of your system. 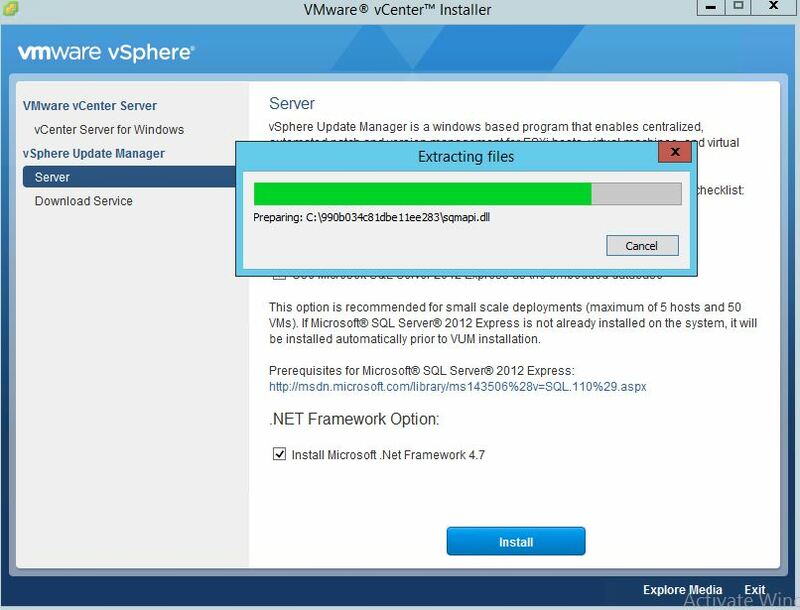 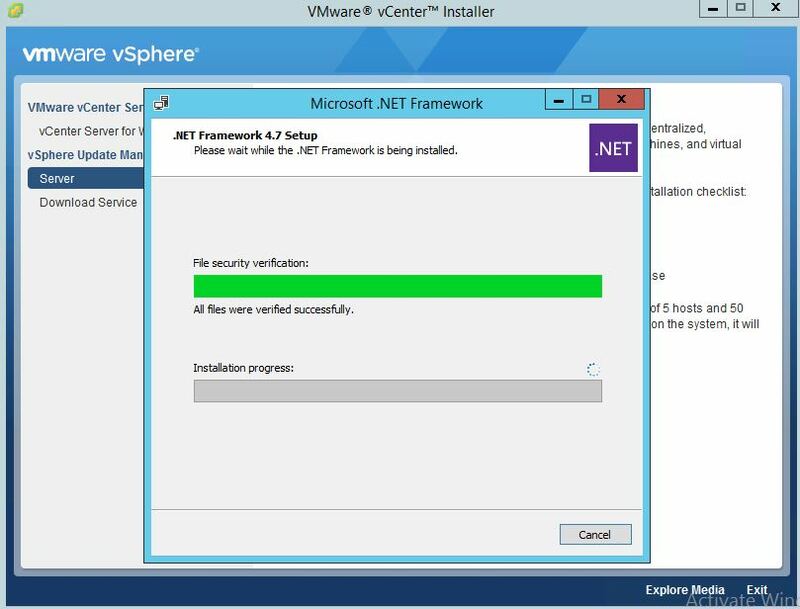 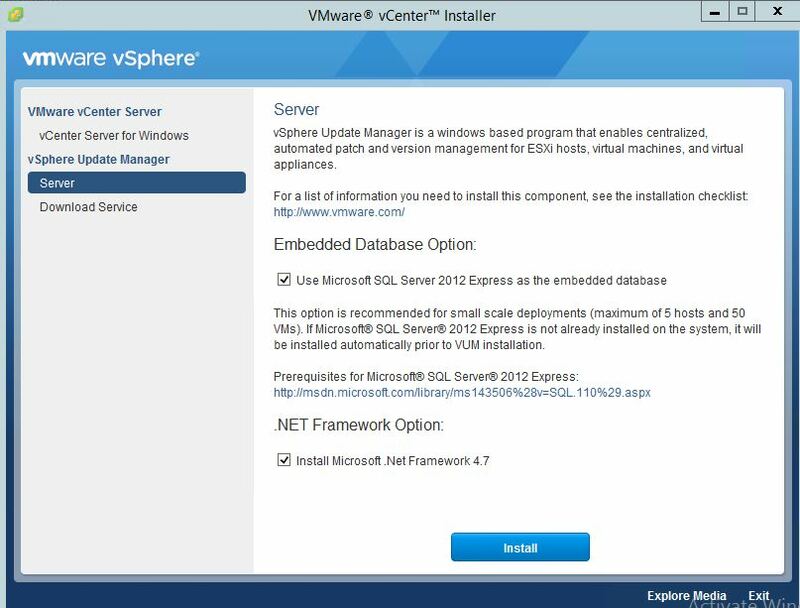 vCenter Server and Update Manager server are installed on one host and their database instances are on two separate hosts. 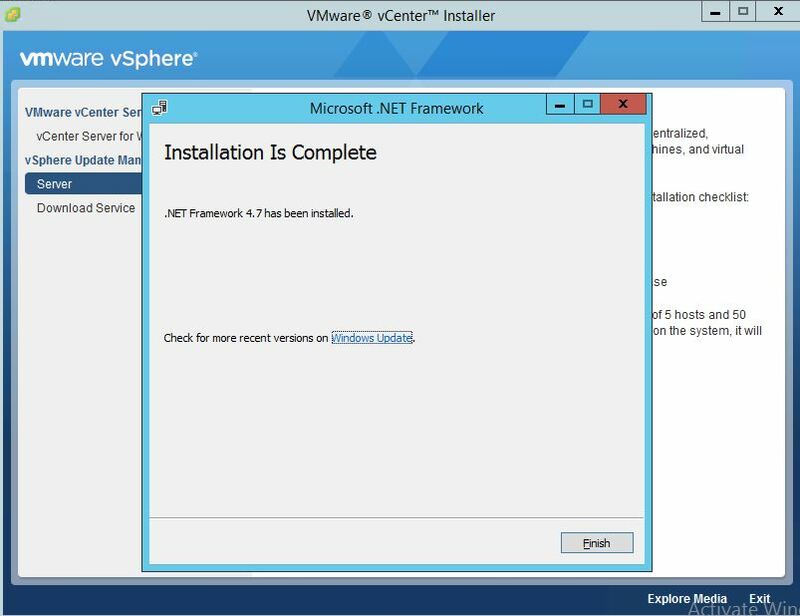 This model is recommended for medium deployments, with more than 300 virtual machines or 30 hosts. 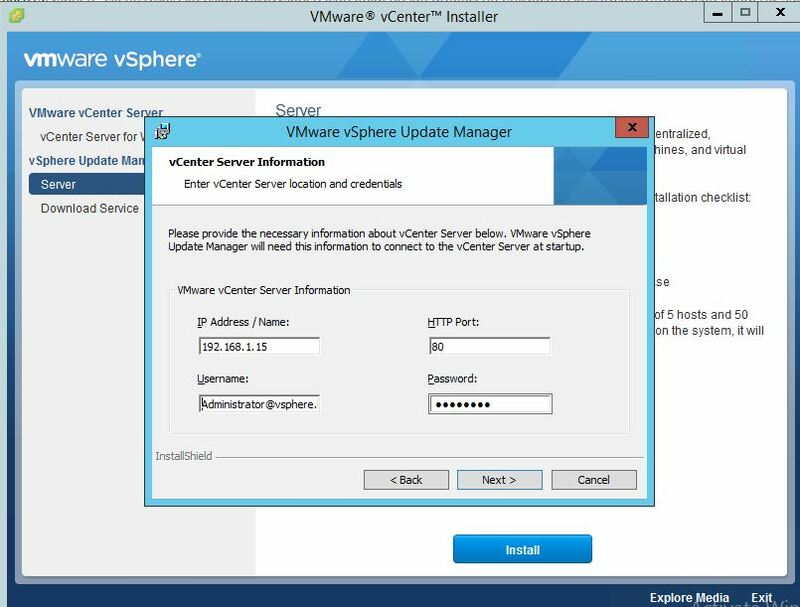 vCenter Server and Update Manager server run on different hosts, each with its dedicated database server. 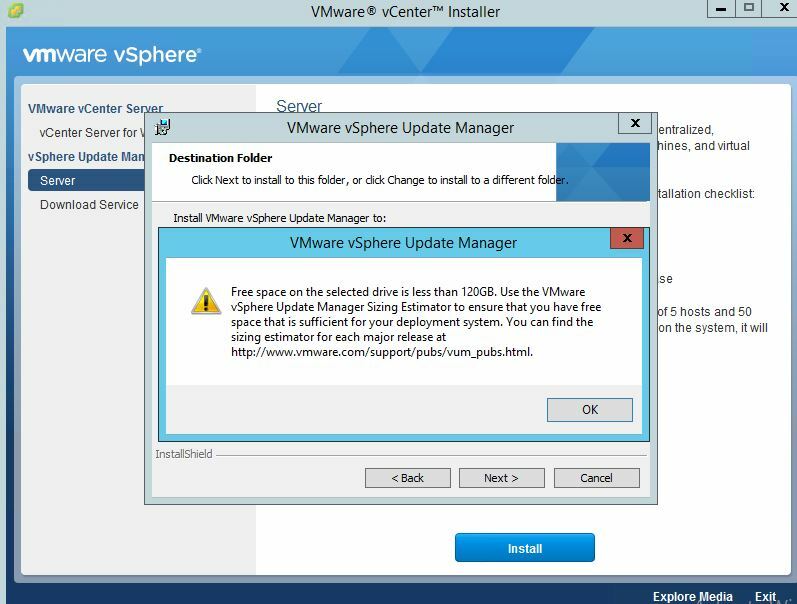 This model is recommended for large deployments when the datacenter’s contain more than 1,000 virtual machines or 100 hosts. 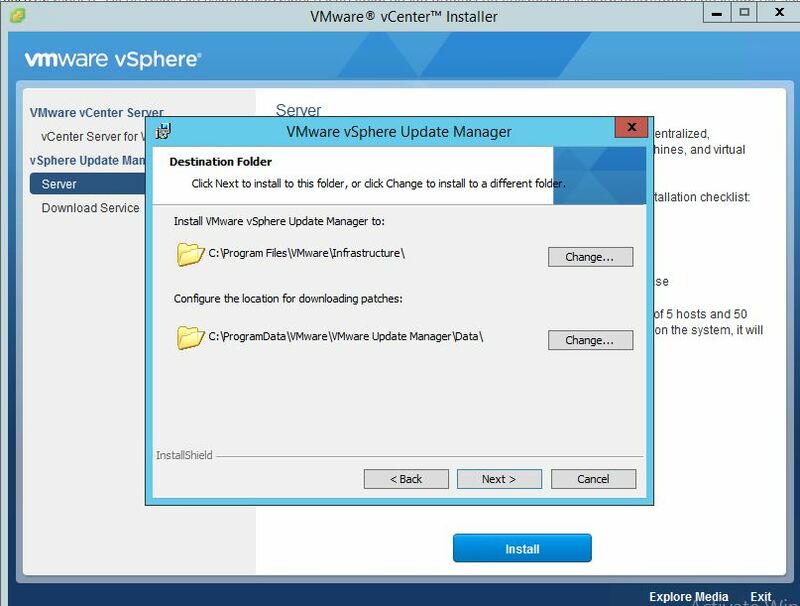 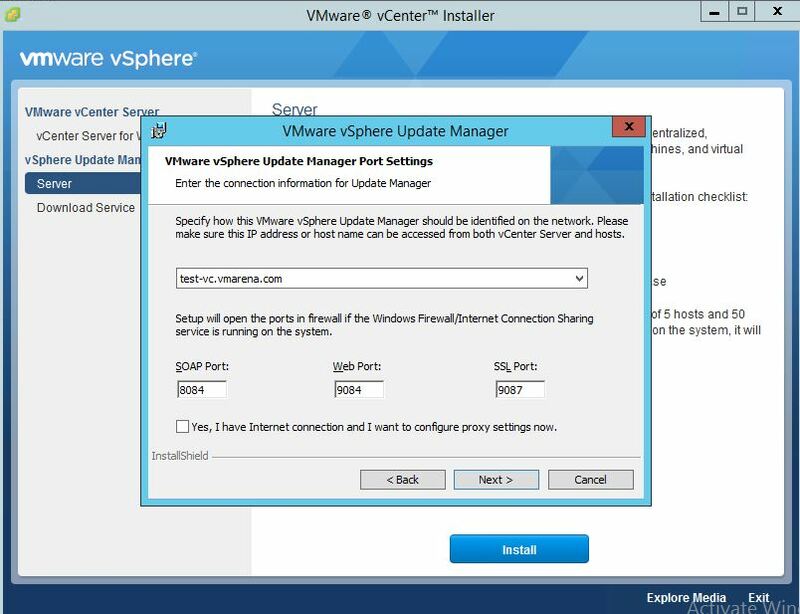 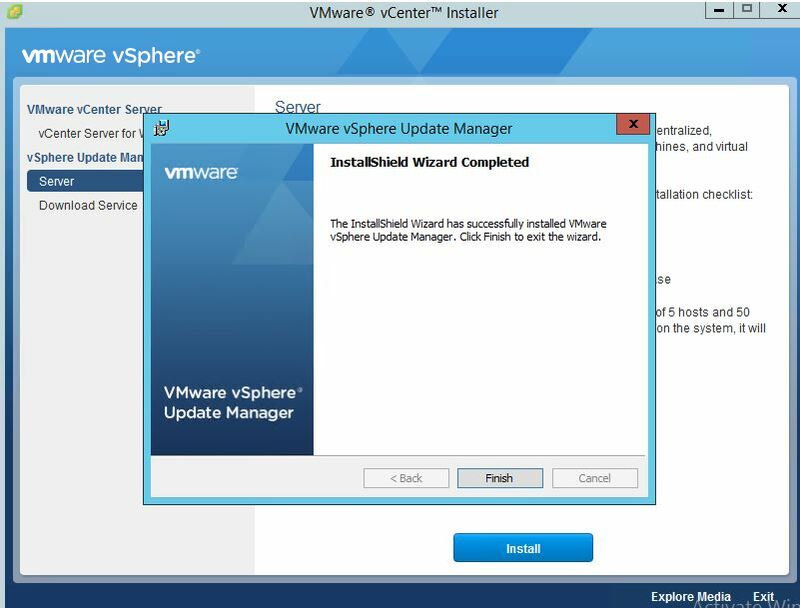 Update Manager connects to vCenter Server on TCP port 80 and ESXi hosts connect to Update Manager using ports 9084 and 902. 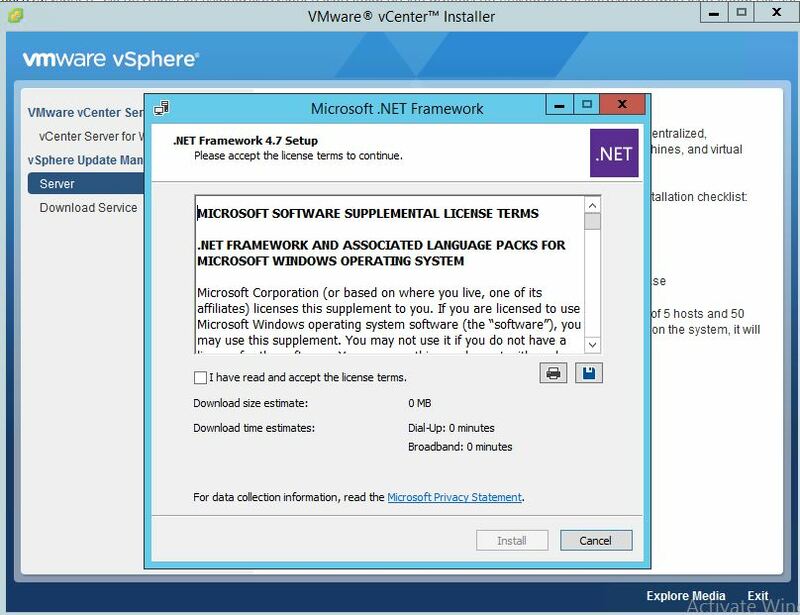 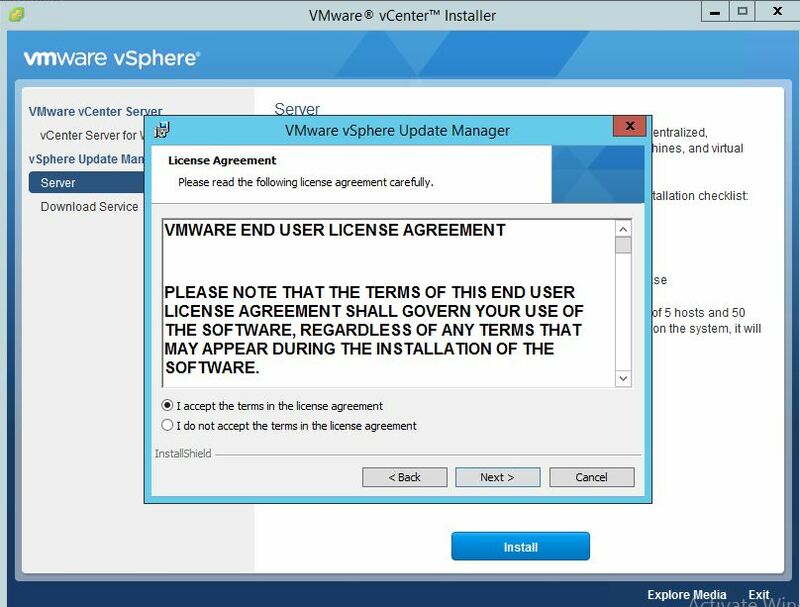 Refer KB for all port requirements for vCenter Update Manager . 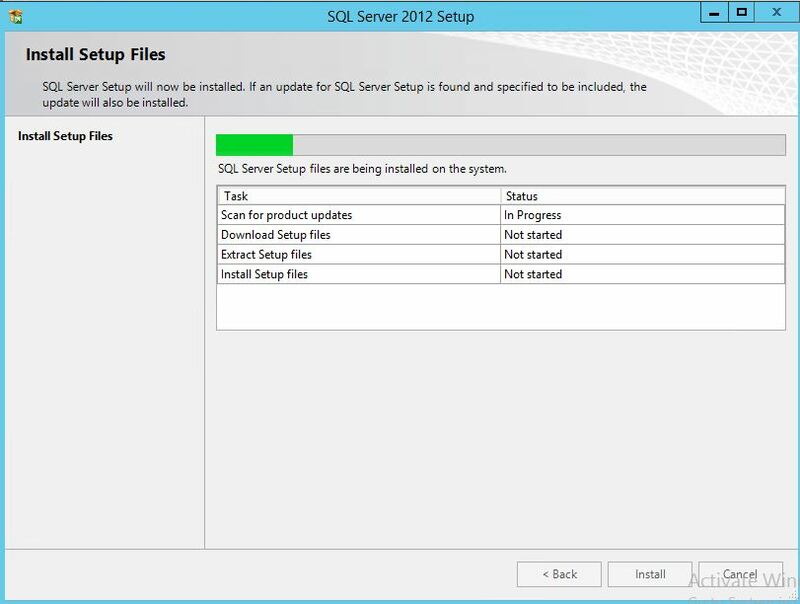 Note :- Do not select this box if you want to use an external database. 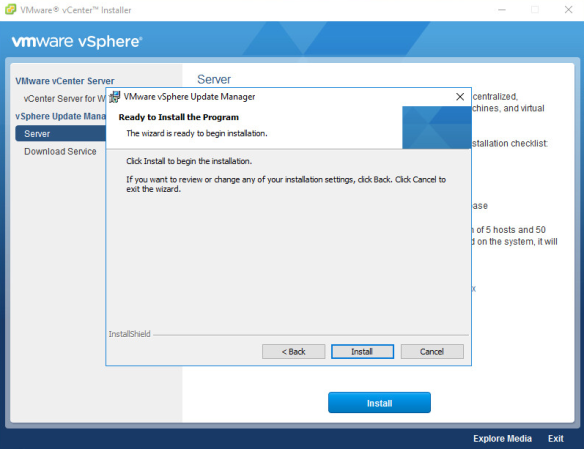 Verify the support information, if the there is no internet access to Update Manager instance untick Download updates from default sources immediately after installation, otherwise click Next.